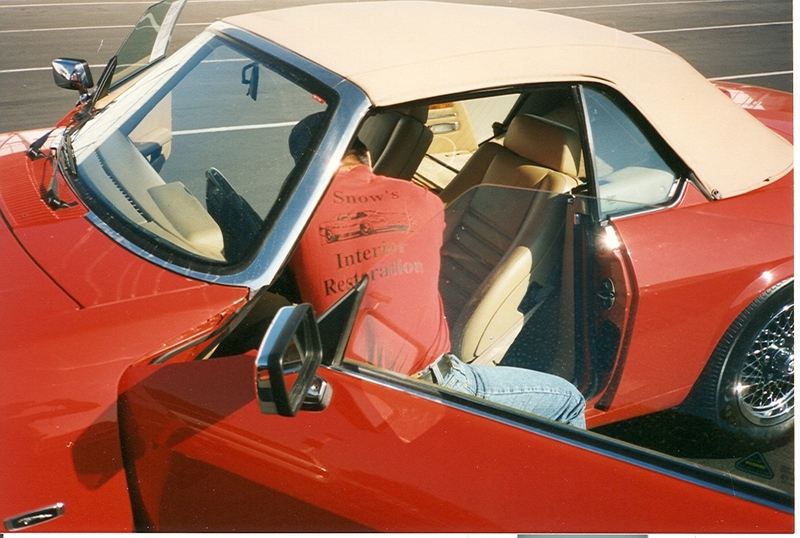 Doug Snow started doing auto interior repair in 1980. A good friend of his got him into the business. This friend had learned auto interior repair (called “vinyl repair” in those days) from another friend of his, who had learned it from his father, who had been doing it since the sixties. Believe it or not, Doug’s friend was colorblind, and needed a partner who could help him make the right colors. Since he was unable to show Doug how to make colors, Doug taught himself how to do it through trial and error. The first color he ever made took him about 1 ¼ days to make 6 oz. of dye, and in the process he threw away over 1 gallon of dye. So when he first started out he was using outdated methods and self taught color matching. He then discovered some manufacturers who carried better chemicals and more up to date technology. 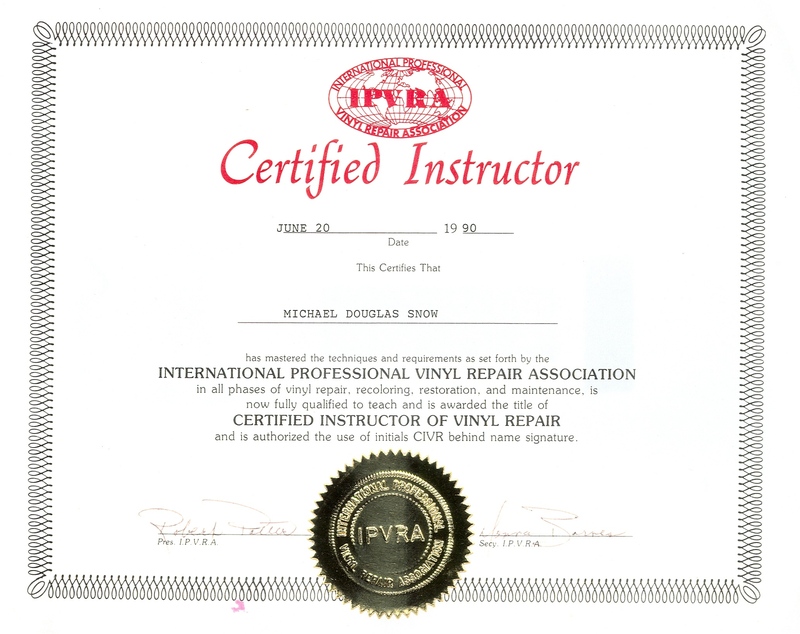 Through these companies he discovered the “IPVRA”, the International Professional Vinyl Repair Association, a now defunct organization. 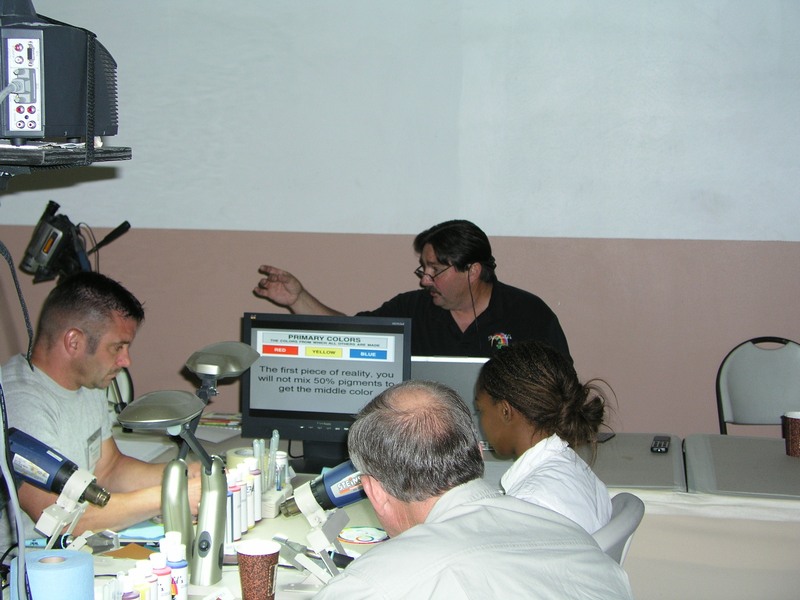 The IPVRA offered a forum for vinyl repairmen and suppliers to get together and compare notes. They also had a convention once a year where they offered classes and the suppliers could show their products. This opened up a whole new world to Doug! 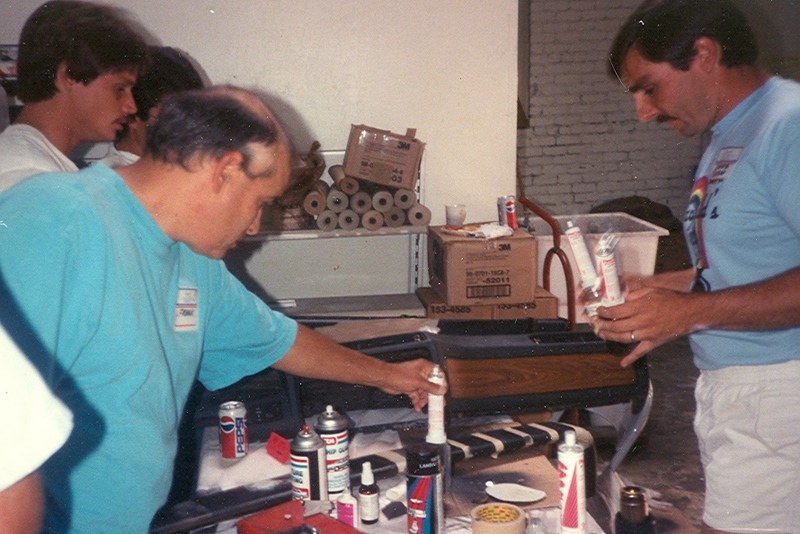 He also started doing restaurants, boats, furniture, and even some vinyl floors, while still concentrating mainly on auto interior repair. In 1986 he and his original partner developed a tool known as the “Snowshoe”, which is an iron that mounts onto a butane torch, eliminating the need for electricity. This is what started Doug’s “training career”. A supplier asked him to demonstrate how to use the “Snowshoe”. Then he asked for a video. Things “snowballed” and pretty soon Doug was teaching students much more than just how to use the Snowshoe. 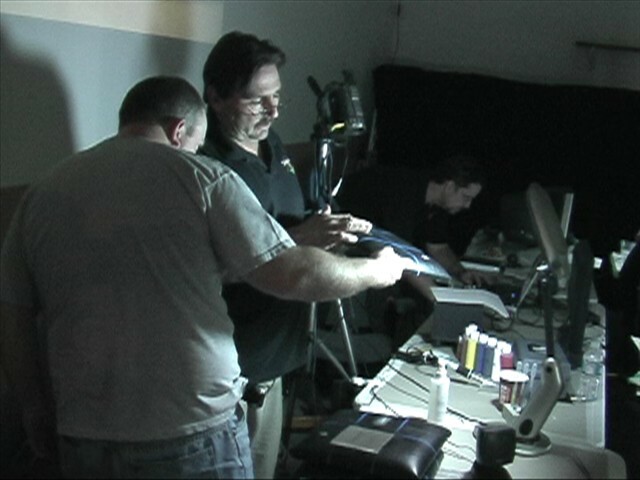 Doug ended up creating several videos covering vinyl, leather, plastic, and fabric repair. One of the videos brought Doug students from outside the U.S. He became a “certified instructor” for the IPVRA and also became Regional Director. He was still teaching classes for suppliers and other types of companies (like for a door panel manufacturer who wanted to learn how to repair their own door panels, and for a vinyl repair franchise company). Along the way, Doug realized that he really enjoyed teaching, and he discovered that he also learned new techniques from his students. Doug is also constantly attending any class or seminar that he can find and receives certifications from them. His latest certification in 2006 is from the “IICRC” in leather cleaning. All of this knowledge is brought into the field and passed on to his team. Doug has been published in several trade magazines, including “Professional Carwashing and Detailing” and various other trade publications. 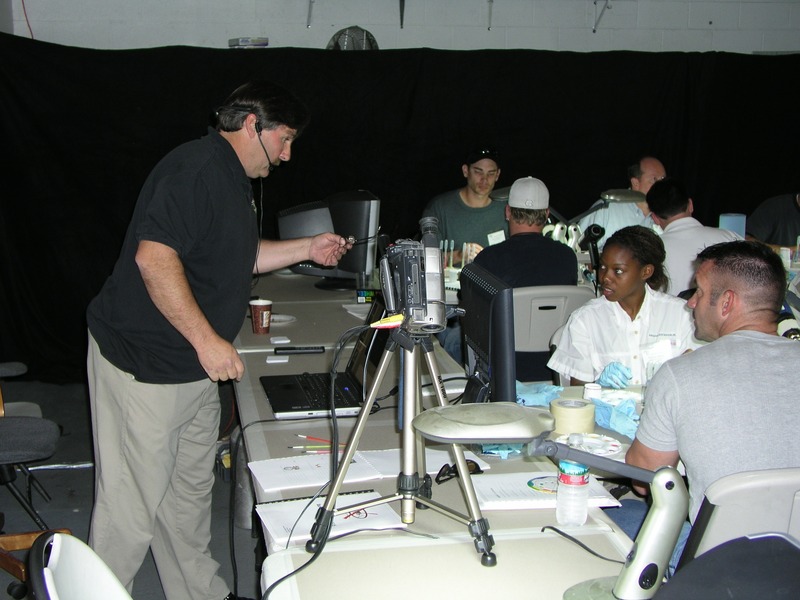 In 2002, Doug attended an “expo” held by one of these trade publications, which was a gathering of mobile auto reconditioning and detailing technicians and suppliers. They offered exhibits, workshops, demos, and seminars, plus contests (because we all want to know who’s the best!). He was so happy to see this, as it was the first gathering of this type since the IPVRA. Doug entered the leather repair contest, and won 2nd place. In 2003, he entered again, and won 2nd place. In 2004, Doug and his employees swept the awards ceremony, winning 1st, 2nd, & 3rd place, beating out over 150 entries from around the world. He hasn’t entered since then because he can’t beat his own record! This was all done while at the same time maintaining a growing restoration business. He has several trucks servicing the Los Angeles area. Cars on which Doug has done custom interior dye work have been featured at the SEMA show and the LA Auto Show. Some were also featured on calendars, and Doug has worked on cars owned by several celebrities. He recently repaired a dashboard that had a chunk bitten out by a bear, which was featured on MTV’s “Pimp My Ride”, premiering in August 2006. He was still teaching classes for suppliers and other types of companies (like for a door panel manufacturer who wanted to learn how to repair their own door panels, and for a vinyl repair franchise company). Along the way, Doug realized that he really enjoyed teaching, which he still does today, and he discovered that he also learned new techniques from his students. Doug is also constantly attending any class or seminar that he can find and receives certifications from them. In 2006 Doug received his certification from the “IICRC” in leather cleaning, identification, and inspection. All of this knowledge is brought into the field and passed on to his team. Doug has been published in several trade magazines, including “Professional Carwashing and Detailing” and various other trade publications. 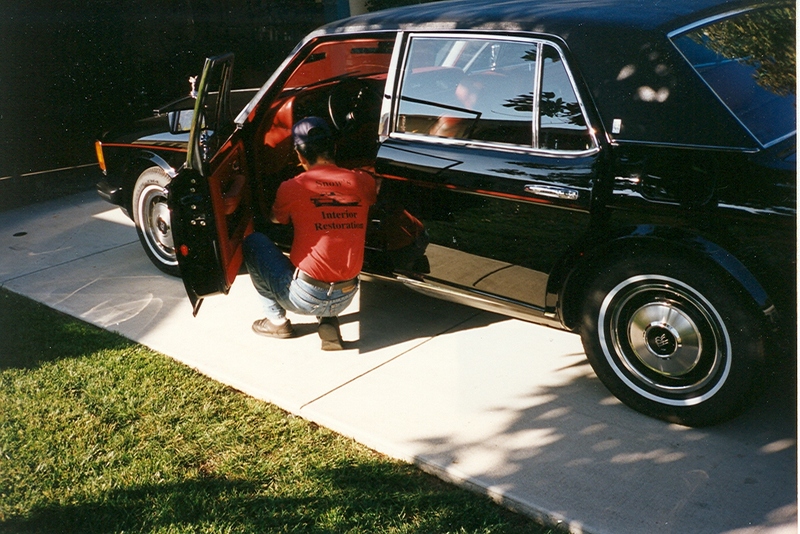 In 2002, Doug attended an “expo” held by one of these trade publications, which was a gathering of mobile auto reconditioning and detailing technicians and suppliers. They offered exhibits, workshops, demos, and seminars, plus contests (because we all want to know who’s the best!). He was so happy to see this, as it was the first gathering of this type since the IPVRA. Doug entered the leather repair contest, and won 2nd place. In 2003, he entered again, and won 2nd place. In 2004, Doug and his employees swept the awards ceremony, winning 1st, 2nd, & 3rd place, beating out over 150 entries from around the world. He hasn’t entered since then because he can’t beat his own record! 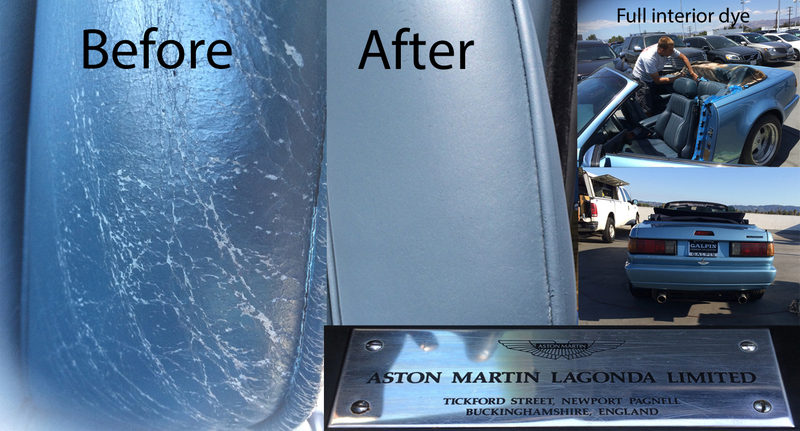 In 2007 Doug was awarded the prestigious "Interior Restoration Person of the Year" award! This was all done while at the same time maintaining a growing restoration business. He has several trucks servicing the Los Angeles area. Since 1989 we have worked for the world's largest Ford dealer. In 2009 this dealership received this honor for the 20th year in a row! Since we had been working for them for exactly 20 years, we like to think we had something to do with that! We also work for the largest volume Jaguar, Lincoln, and Mazda dealerships in the Western United States. 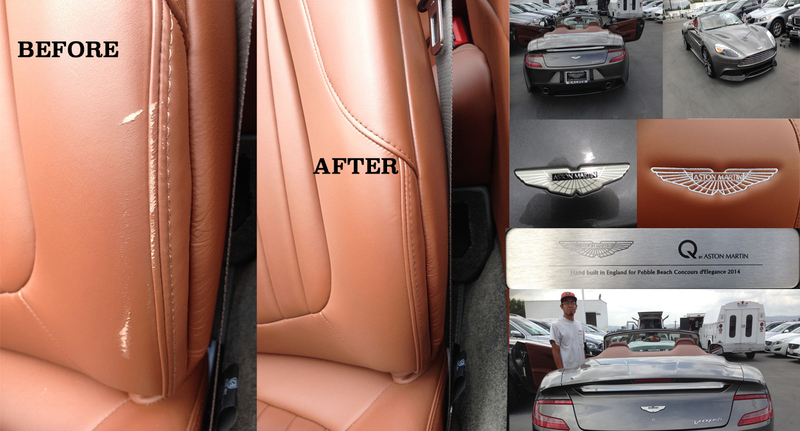 Cars on which Doug has done custom interior dye work have been featured at the SEMA show and the LA Auto Show. Some were also featured on calendars, and Doug has worked on cars owned by several celebrities. He also worked on cars for the MTV television show "Pimp My Ride", including one that had a chunk bitten out of the dashboard by a bear! You can see photos and descriptions of many of the cars we did for shows and many others by going to our "Before and After Pictures" slide show. This where a "picture is worth a thousand words". We recommend you take the time to have a look at this section, it will give you a good idea of what we can do for you!